We are coming up to the 2017th year since the coming of Jesus Christ, the Son of God into the world. What a change He has brought to the whole world! This holiday season, we hope you will celebrate the coming of Jesus Christ to the world, His great Gospel, His great work, and His great transforming power in the hearts and lives of millions in nations all around the world! He has brought peace and good will to every tribe and nation, as He has built His church. We are approaching 2017 with great excitement about what God will do through our ministry. Our international reach is growing, as Christian families and Christian schools around the world are looking for distinctively Christian curriculum, resources, and media. I’m writing specifically to invite you to be a part of the ongoing work that God is doing through Generations. In recent generations, the Christian church has lost a large percentage of its influence to the world’s institution. While we know that God is sovereign over all things, we do have a responsibility to fight the good fight, wage a good warfare, keep the faith, and hold on to the things we have been taught (as the Apostle Paul instructed his son in the faith, Timothy). That is why we produce Christian news programs, Christian commentary on culture, Christian curriculum, and Christian conferences to rebuild the Christian family. 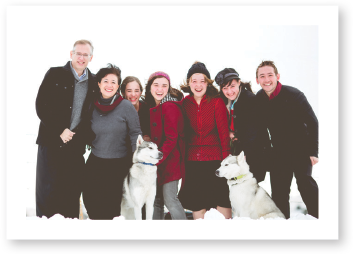 In 2017, we are rolling out a new core curriculum for homeschools and Christian schools called the “Christian Discipleship Curriculum.” Rooted in a distinctively Christian view of the world, this new curriculum will ground students in five areas of study that are critical to passing on the faith to the next generation: Bible, Character, Church History, Christian Literature, and Worldview. We will release our new history curriculum in the spring, tentatively titled: Taking the World for Jesus — The Amazing Story of the Great Commission. Although Jesus is ignored in most history books used in our schools today, we are committed to re-introducing Christ to students with our new curriculum. All of world history must be studied in light of the work of Jesus Christ on every nation in the world. 2016 Noah Conference—Over 2,000 in Attendance! We have two more Noah Conferences planned in 2017: one in Cincinnati, OH, and the other in Ocean Shores, WA. The World View in 5 Minutes—Now at 70,000+ Downloads a Month! The World View in 5 Minutes program now reaches thousands of families with real-time Christian worldview lessons every day. We apply the mighty Word of God to presidential elections, persecutions, natural disasters, economic concerns, cultural icons, and many other areas. We do not want to shrink back from calling nations to faith and repentance, leaders to humility and the fear of God, and judges to obedience to the laws of God. It is the Word of God that transforms us and impacts whole nations. I have finally finished writing the Psalms Bible Study Guides after eleven years of work. I believe they have done the most good of anything we have ever published. In a real sense, this is the very heart of our ministry. If fathers and mothers teach the Word of God to their children, and if their children learn the Psalms and the Gospels, it will transform their lives. Our Perspective of the Future—Incredible Opportunity! Some are concerned that persecution is coming to America. Given the present political climate, it is a real possibility. But let us take heart! What the Christian church really needs today is distinctiveness, faith and courage, a wake-up call, a unifying catalyst, a sense of the spiritual battle, and perhaps even persecution. Without these things, the church is dead. If persecution must come, let it come! It will be for our good. We feel that our ministry will even be more relevant should there be a stronger sense of the antithesis between good and evil in the Western nations. As you can imagine, our media programs are not sponsored by PepsiCo, Nike, and Apple Inc. It is only the faithful support of our listeners and contributors that allows us develop this ministry. We need your help to keep our ministry efforts going. Our staff is a small but dedicated group, nearly every one of which is only working on a part time basis for us. My family continues to help with the ministry on a daily basis as well. In total, it costs over $100,000 a year to get this daily podcast out, five days a week, to families all over the world. Right now, we need an additional 100 individuals or families to donate $300 or pledge $25 a month in order to raise $30,000 by December 31 to help support the Generations Radio program. If you have been equipped by Generations Radio or any of the other efforts of our ministry, will you be a part of keeping this ministry going? 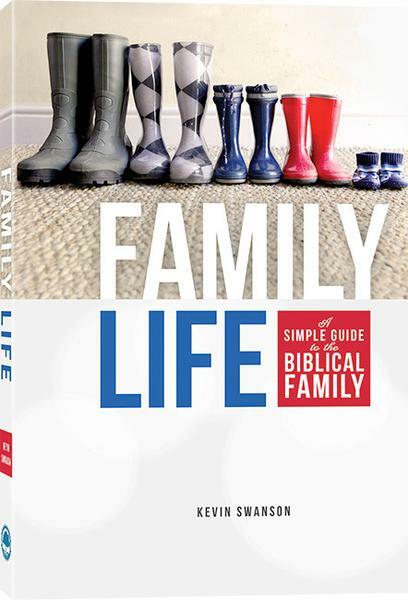 As a thank-you for your support of our work, I’d like to send you a copy of my new book, Family Life: A Simple Guide to the Biblical Family, for a donation of any amount (offer ends Dec. 31). All donations are tax deductible. 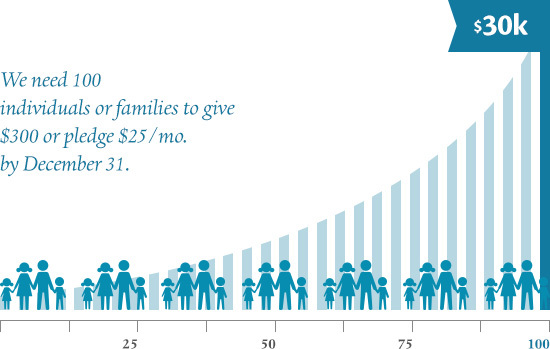 Make your donation by going to Generations.org/Give.